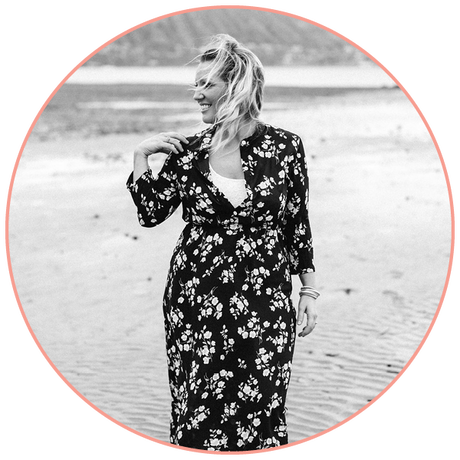 With a lifelong love of beauty, Sarah Obringer started Whik’d Hair and Makeup Hawaii with a passion for making women look and feel beautiful. Since graduating from Hawaii Institute of Hair Design, this girl has been on the fast track in the Hawaii beauty industry, working with celebrities, on television commercials, at weddings, on pageants and much, much more. In 2010 she was the hair and makeup artist to the winner of Miss Hawaii USA 2011, Angela Byrd. She has recently worked with many local celebrities, such as Anuhea, Mailani Makainai, Kanoa Gibson, Emma Wo (Miss Hawaii USA 2015), Brian Yang ("Hawaii 5-O"), Celia Kenney (actress from The Descendents film with George Clooney), Olena Heu (host on KHON2 Fox), and many more. ​When she is not traveling around Hawaii glamming up beautiful ladies, she is cruising the streets on her Hello Kitty beach cruiser with her son, Daemon. Jennifer comes to us from the San Diego area. She fell in love with styling and makeup artistry during her time blasting hair and faces at San Diego Fashion Week, San Diego Charity Events, and working on the salon floor since 2008. Her true passion is bridal hair and makeup. She has such a fun and witty personality. In her spare time she loves exploring the islands by hiking, skateboarding, snorkeling and eating! Whik’d Makeup Dual Powder Foundation provides flawless full coverage on the skin. Apply directly on the skin from the compact without any concealer. Super EASY! Jessica has been in the hair and makeup industry for more than 14 years. She has worked in salons in Portland, Atlanta, New York and Austin. Her favorite part of every day is making her brides and clients feel and look like a million dollars! Jessica loves hanging out at the beach and snuggling with her dog, Tarzan. Skindinavia Finishing Spray is your go-to for all-day, long-lasting makeup. Apply three sprays on the face after your makeup is complete, and you are set for the entire day. Cedrian discovered her passion for hair and makeup as a little girl growing up in Dallas. (The higher the hair, the closer to God!) She has worked in salons in Dallas and Hawaii. When she is not styling up our amazing clients, she is busy hiking and exploring the beautiful island of Oahu. Dior One Essential is the best of the best for your skin. Apply once a day after washing your face at night. Alexandra is a wicked stylist. She comes to Hawaii from the Dallas area. When she is not working she is rooting on her favorite football team, the Dallas Cowboys, and spending time with her fur baby, Leo. Morphe Black Slate Gel Liner is my all-time favorite eyeliner. Apply with a small, angled brush for the perfect cat eye!